Before Immokalee Technical College opened in 2010, Principal Dorin Oxender did his homework. He met with local business leaders to discuss workforce needs, encouraged them to serve on advisory boards, and created long-lasting partnerships that now number 168 active businesses. 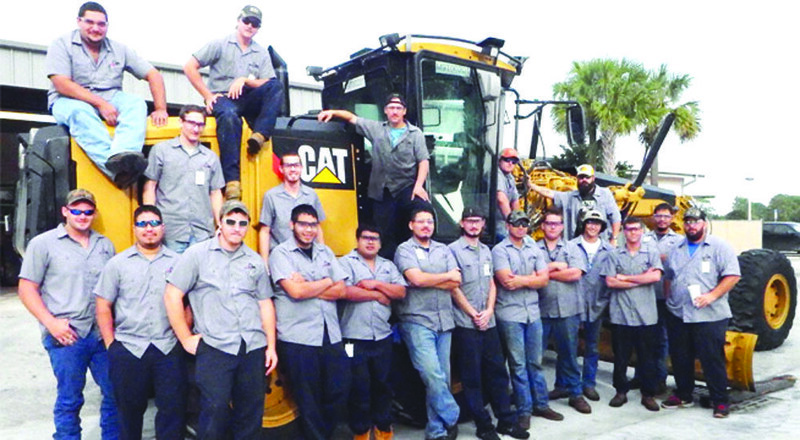 The school draws students from the five-county Southwest Florida region and has an 88 percent placement rate – as high as 100 percent in some of its 19 technical programs. Regional businesses like U.S. Sugar and Arthrex are benefiting from these collaborations and their ability to help Oxender and staff create the curriculum. They’re finally able to fill long vacant jobs with skilled employees. For iTech graduates, it’s the start of a well-paying job without relocation. Many of the programs address specific needs and were outfitted with multimillion dollar machinery and equipment donated by local businesses and some heavy hitters, including the Caterpillar Foundation, Komatsu and Vulcan Industries. When U.S. Sugar expressed a need for diesel mechanics and journeymen, iTech and two other post-secondary schools offered semester-long introduction to machining courses. The other schools dropped the class while Mr. Oxender ramped up his program: 1,500 hours of class time, paid summer internships, and a job practically guaranteed upon completion.